It’s never too early to begin planning for late summer and early fall management of alfalfa (and alfalfa-grass). First, check your recent soil analyses, and take soil samples for a new analysis if they’re more than 3 years old. 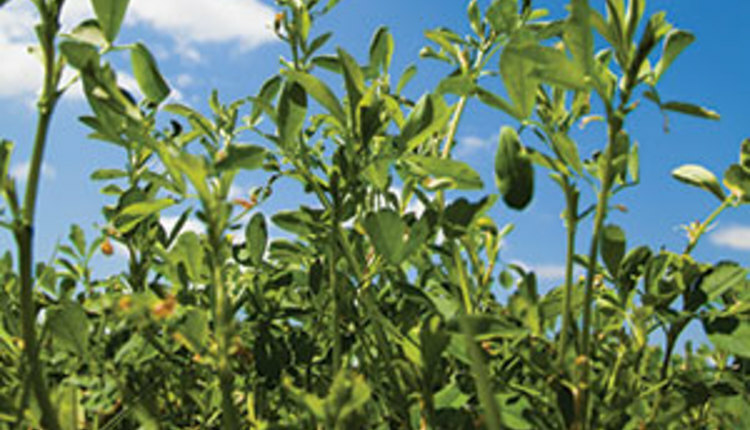 The potassium (K) status of alfalfa fields is critical as we head into fall. Potassium is highly correlated to cold tolerance and winter survival, so plan on applying fertilizers containing potassium well before frost to allow enough time for plant uptake. The fertilizer won’t do much good sitting on a frozen soil surface! 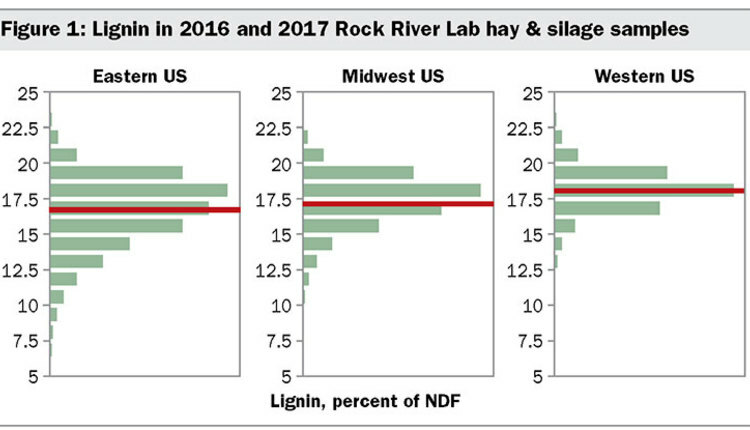 Maintaining adequate soil K status is important for alfalfa yield and longevity, but it’s absolutely critical for alfalfa-grass fields because of competitive nutrient uptake by forage grasses. Cut it or leave it? 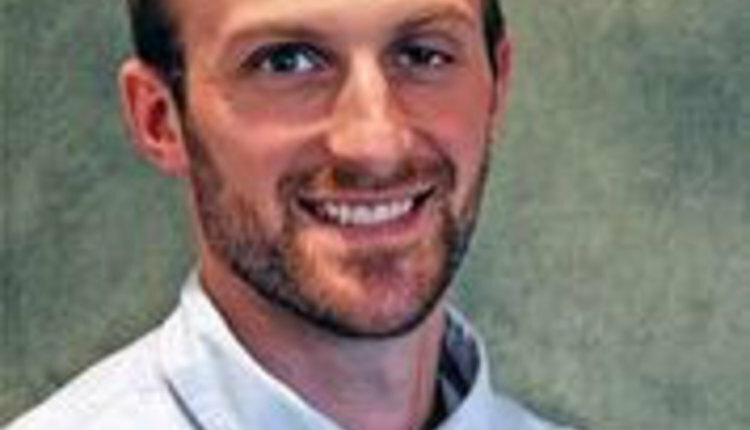 There’s considerable difference of opinion on how alfalfa should be managed during late summer and fall. The oldest school of thought is to harvest through the end of August or very early September, allowing alfalfa a long fall rest period. This provides the best protection of plant health, but many farmers don’t want to forego any reasonable yield potential. Another strategy is to harvest in September while leaving enough time for plants to accumulate root carbohydrate prior to a killing frost. One recommendation is to plan on at least 500 Base 41°F growing degree days between the last harvest and a killing frost (for alfalfa this is in the low 20°F range). Of course, nobody knows when the first killing frost will occur, so there’s some risk to this system. A third method is to wait at least 45 days prior to taking a fall harvest under the assumption that this will allow plants to accumulate enough root carbohydrates to survive the winter. There are two “inconvenient truths” about late-fall harvest of alfalfa: First, there’s often less yield than meets the eye. 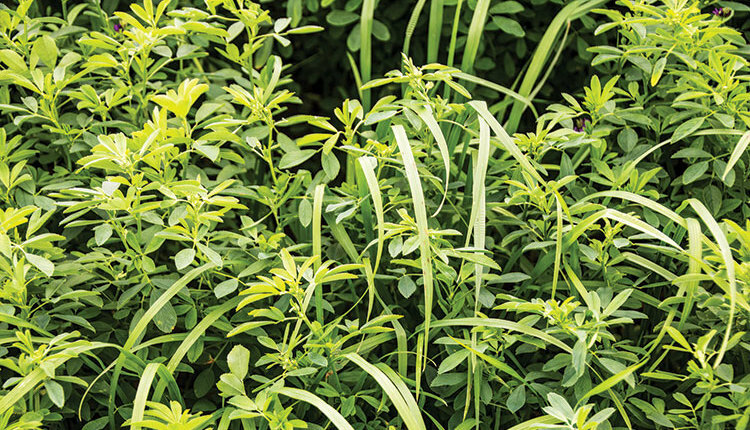 Fall-grown alfalfa has large leaflets that can mislead farmers into thinking there’s a good yield. Only when the farmer starts mowing and looks at the size of the windrow does reality hit. 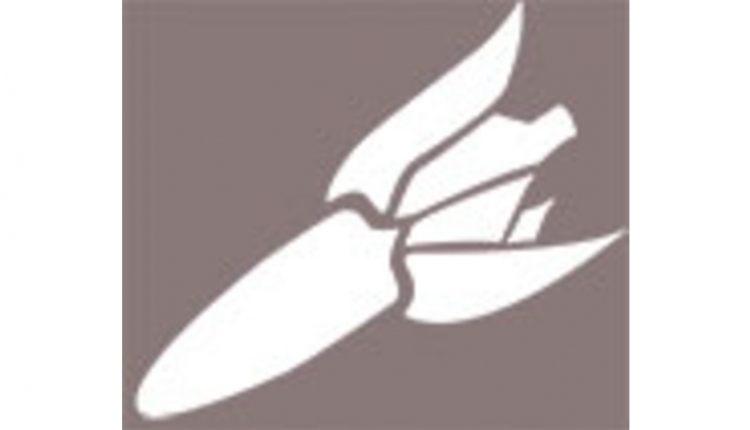 Factors that should influence your “cut it or leave it” decision include the winter survival rating of the alfalfa variety (not the same as fall dormancy), adequate soil drainage, age of stand, and that summer’s harvest management. 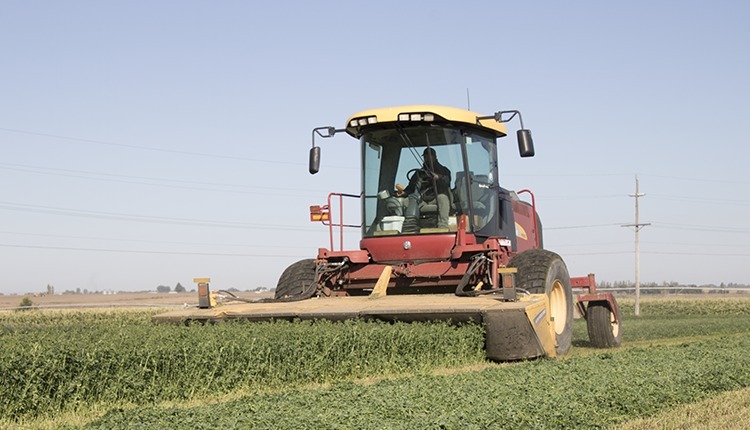 Alfalfa fields that have been intensively managed — repeated harvest intervals of 30 days or less — would be good candidates for a long rest without the additional stress of a fall harvest. 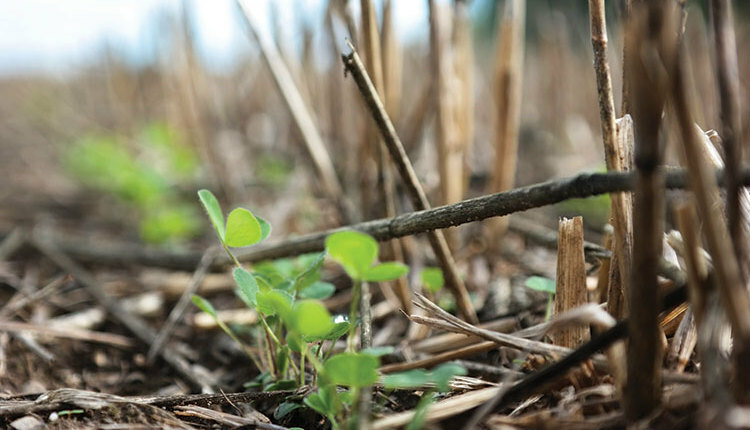 First and second year fields are almost always healthier than are older stands, in part because they haven’t had as much field traffic that damages alfalfa crowns. This superior health makes them better candidates for a fall harvest. 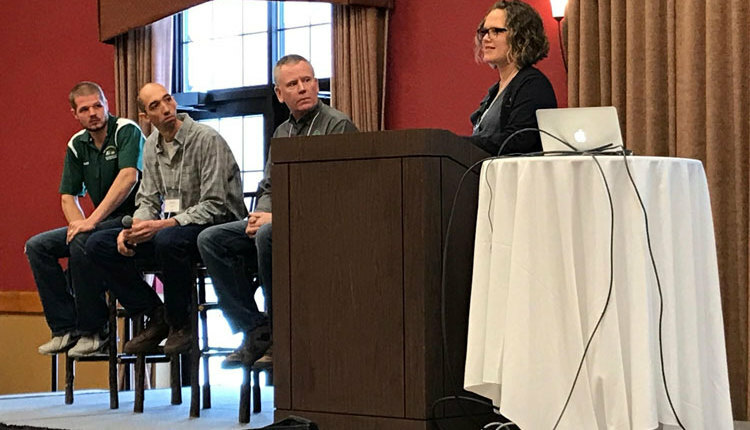 However, most farmers are more willing to assume the risks of a fall harvest with older stands, realizing that they’d be rotating these fields out of alfalfa in another year or two anyway. Who said farming was easy? 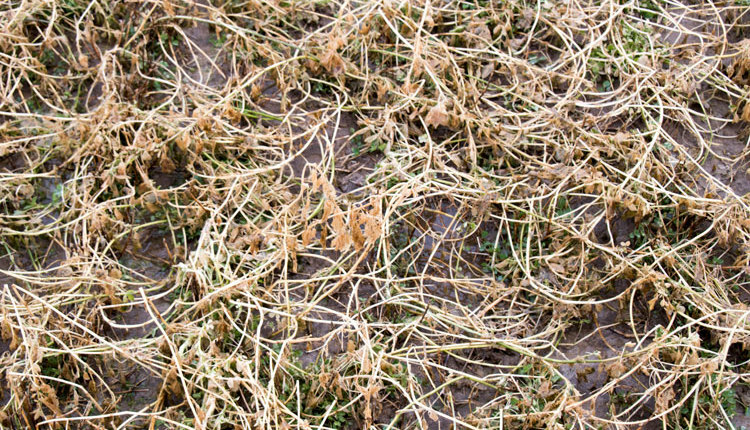 A high percentage of the naturally occurring fermentation bacteria in a field may have died off by fall, so if the alfalfa is harvested after there’s a chill in the air, be sure to use a research-proven silage inoculant. 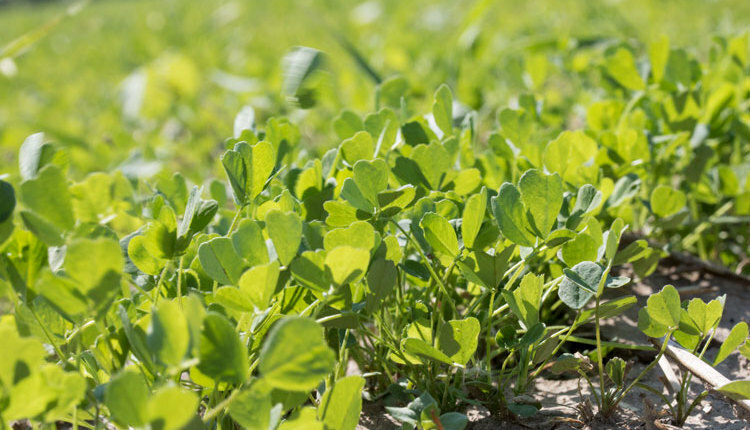 We recommend the use of a silage inoculant for all alfalfa harvests, but it may be more critical for a fall cutting than for any other. Finally, the recommendation to leave a high (about 6 inches) stubble during a fall harvest is an old one, but it’s still a good idea in Northern regions. The theory is that the high stubble will catch and hold more snow, and in this case theory and practice are consistent. We’ve seen side-by-side fields with different stubble heights, and the higher stubble definitely had more snow.